Order in 12 Hours 46 minutes 04 seconds for dispatch today! Pertex Microlight is well balanced and offers weight reduction whilst maintaining good strength and abrasion resistance. 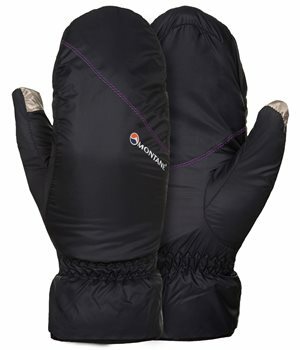 Engineered to provide insulation for the worst cold and wet weather conditions possible and the ‘go-to’ choice for adventurers looking for protection in extreme conditions. PrimaLoft Gold Insulation is the pinnacle of comfort and performance - the highest performing synthetic insulation available. Offering ultimate warmth to weight, this mid and high loft insulation is coupled with incredible packability and softness. With famed PrimaLoft® water repellency that delivers wet-weather protection, this is the no-compromise synthetic flagship for those that demand the best. Microfibres trap body heat, making PrimaLoft Gold Insulation the most thermally efficient synthetic insulation on the market. It also includes a high water repellency - it maintains 98% of warmth even when wet.